Port of Piraeus is for the time being the second largest port in the Mediterranean Sea. After COSCO’s enter in the port, its annual throughput capacity was increased from 0.68 million TEUs to 4.15 million in 2017. Mainly, the growth, the port of Piraeus has experienced in recent years, is the result of the cooperation between Greece and China, based on the Belt and Road initiative. Also, in 2008, the former COSCO Group obtained a 35-year franchise right of No.2 and NO.3 container terminals of the Piraeus. 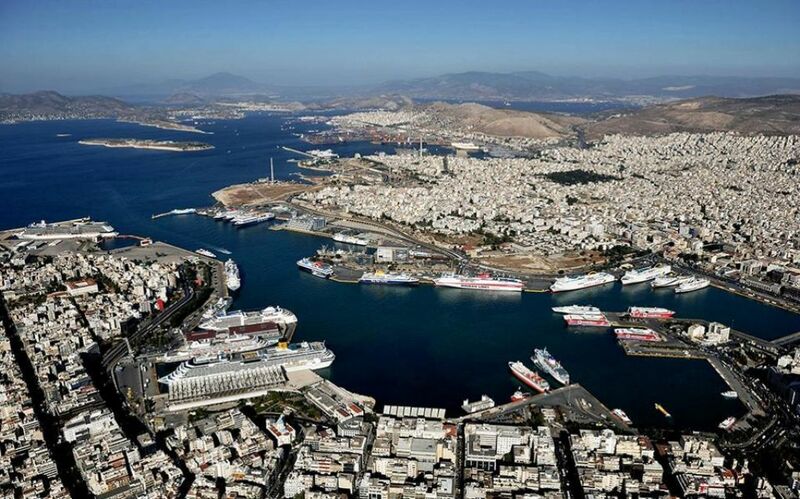 Yet, a decade after the Chinese shipping company’s first investment in Piraeus port, the collaboration between the two countries aspires to make Piraeus the number one port in the Mediterranean Sea. Although the crisis has seriously affected Greece, Vassilis Korkidis, president of Piraeus Chamber of Commerce and Industry quoted in Xinhua that the local economy has gained many benefits from the investment. According to Mr. Korkidis, COSCO’s investment in the port is a ‘flagship project’ of Greece, which greatly improved the throughput capacity of the port and increased job opportunities. In 2016, when COSCO merged with China Shipping Group to form China COSCO Shipping, it acquired a 67% stake in the Piraeus port authority for 368.5 million euros (418.9 million U.S. dollars), officially becoming the operator of the port. The port is now ranked 36th among the 100 biggest ports of the world according to Lloyd’s List, up from 93rd when the COSCO took over. Tassos Vamvakidis, PCT Commercial Manager highlighted that the cooperation between the two countries wasn’t always successful. In other words, since COSCO was one of the first private investments in Greece, the unions were not in favour of it, until acknowledging that COSCO was not an invader but an investor.